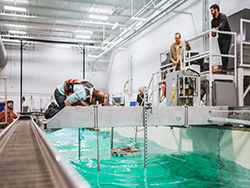 The University of New Hampshire offers a plethora of facilities for tackling ocean problems. The Jere A. 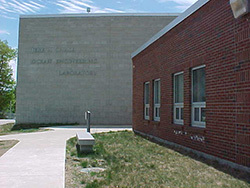 Chase Ocean Engineering Laboratory is home to the Center for Ocean Engineering. This facility includes a wave/tow tank, enginneering tank, computer clusters, classrooms, and instructional laboratory.